A Concrete structure may consists of beams, slabs, columns and foundations etc. based on type of structure. 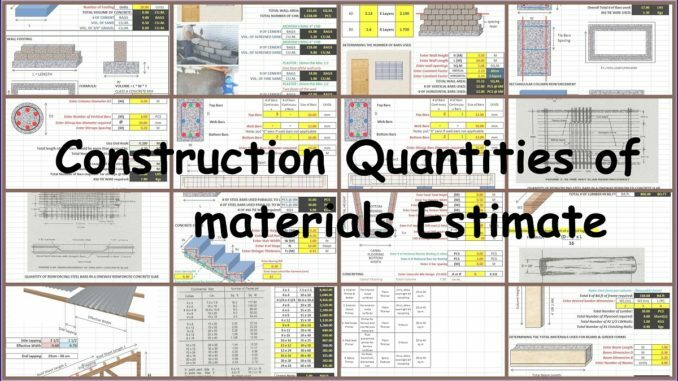 The volume of concrete required for concrete structure can be calculated by summing up the volumes of each structural member or each parts of members. The volume of a rectangular cross sectional member can be calculated as length x width x height (or depth or thickness). Suitable formula shall be used for different cross-sectional shapes of members.